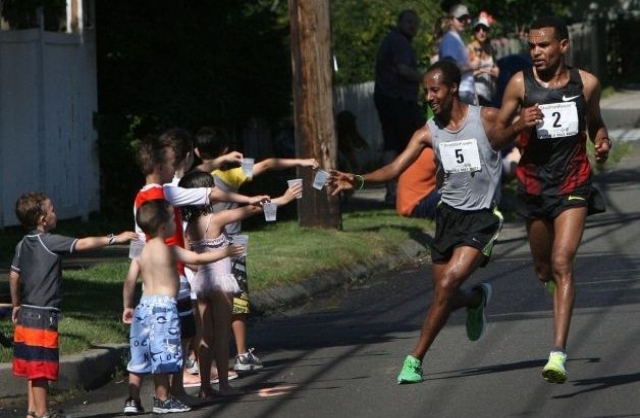 FAIRFIELD — Tesfaye Girma and Ketema Niguesse ran neck and neck for 13 miles. That’s routine for them. The two Ethiopians train together, and they shared strides, cups of water and the lead through a hot and hilly half-marathon course Sunday, waiting for the final one-tenth of a mile to make their moves. Girma’s finishing kick was better. Girma hit the tape one second ahead of Niguesse to win the 32nd-annual Stratton Faxon Fairfield Half Marathon with a time of 1:05.37. “This is good for me,” the 29-year-old Girma said.